The winter months make finding outdoor photographic subjects difficult in Richmond. Rarely is it cold enough for snow, and the outdoors aren't exactly at their best (other than those gorgeous sunrises and sunsets this time of year). I recently received a new lens, the Canon TS-E 24mm 1:3.5 L II and needed an excuse to use it. Time to move indoors. Fortunately, I already had plans to go to the country's largest and longest running (100+ years) car show, the Chicago Auto Show. I've been most every year over the last 7 years, and has been held at the McCormick Place for even longer. McCormick Place's ludicrous size never ceases to leave me awe-stuck; over 2.75 million square feet of exhibition space, makes it the largest convention center in North America. There is so much room that there is room for three test tracks (Toyota, Jeep and Chrysler/Fiat) alongside the vehicles. I have never waited in line for a ride on any of these tracks, as it seems all 1+ million in attendance are already waiting. I do hope someday to find the Jeep course with a reasonable line, as their test track does things to cars I would never do in real life; drive over cliffs and obstacles few vehicles could overcome, particularly on a repeated basis. 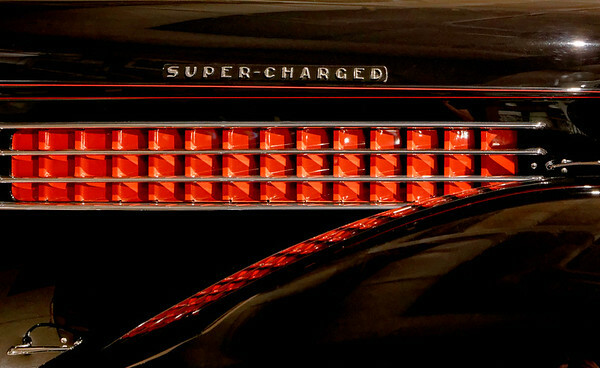 As for the cars at the show, the Buick and Cadillac brands have showcased my favorite concept cars the last few years. 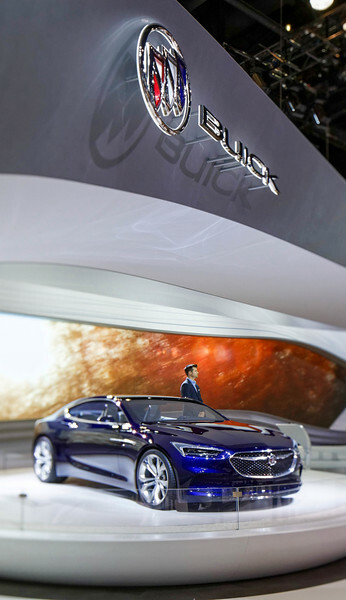 This year, Cadillac only had production models, but Buick showed their Avista concept car. It was created as just a design study, but rumors are that it had such a positive response that it might make it into production as a 2+2 coupe. Yes please! Even better, the car was in an incredible display, with the Buick logo way above, but on a completely different focal plane than the car, making the perfect opportunity to use the shifting features of the lens ... letting me put both in focus and little else. Additionally, I could use a lower ISO that I would have needed with a regular lens to get both sharp. I am loving this new flexibility (at the cost of no autofocus). However, the Buick did not end up being my favorite concept from the year, instead that title is held by Acura's Precision Concept sedan. Despite being next to the new NSX, it rightfully received more attention from attendees. 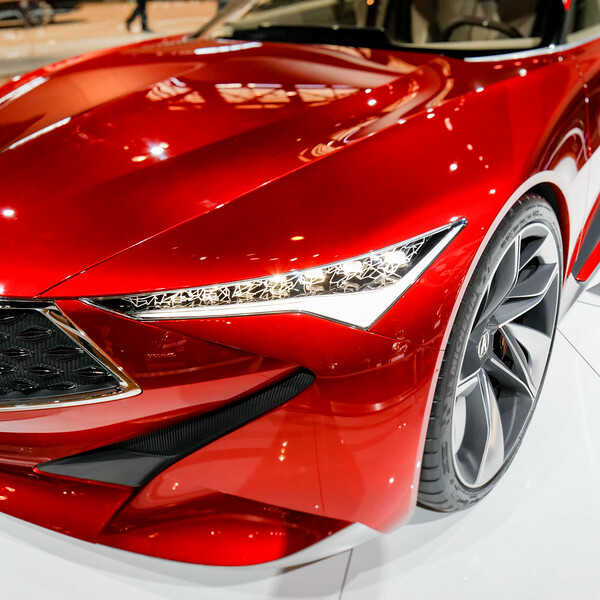 It is not expected to reach production (boo), but is supposed to evoke how the design of Acura's will look in the future. I hope this holds true (and would they mind applying it to the new NSX?). If nothing else, please move these headlights into all of your vehicles - they are incredible. 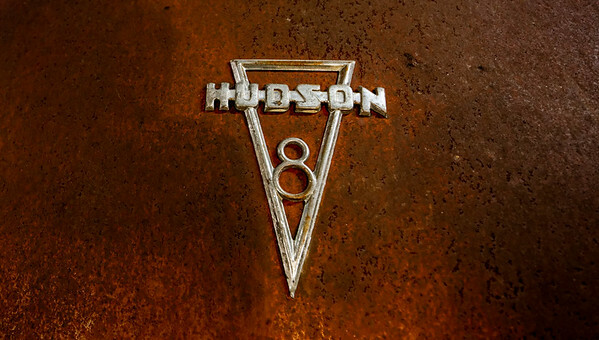 The next day, we left the present and future of automobiles and traveled to the past, in Auburn, Indiana, the home of the Auburn Cord Duesenberg Automobile Museum. The museum is in the building that was once the headquarters and main showroom of the hand built cars. Almost as gorgeous as the cars, the showroom takes your breath away (and is the first thing you see upon entering). The ornate details on the columns and ceiling are unlike anything I have seen. 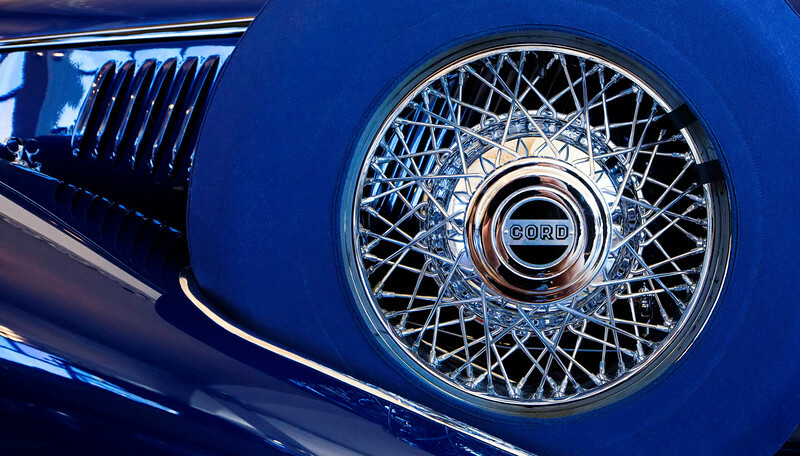 It's those ornate details on the cars to that I am in love with, particularly for photographs. I am glad photography does not have to take a back seat even when the outdoors do not work out. But I cannot wait for spring to make it here, 70 degrees right now and the daffodils are in bloom mean its not far away.